3D printing is today’s trendiest industrial revolution. 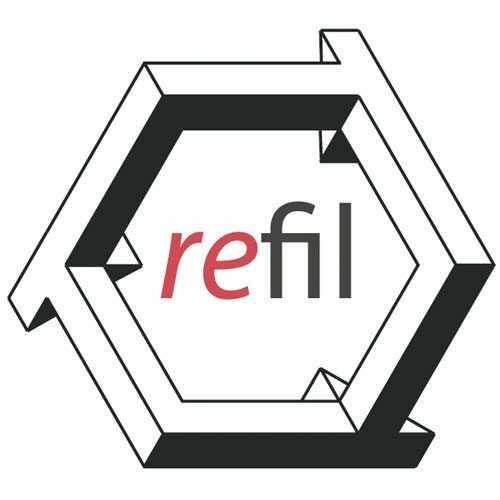 At Refil we aim to make it a sustainable one as well. Why continue to use new plastics, when there’s so much old plastic we can re-use?At present, most plastic waste is perceived as valueless, it ends up in landﬁlls or incinerators. Only a small fraction of the plastic waste is recycled. Unfortunately, a lot of discarded plastic ends up in our rivers, the sea (so called “plastic soup”), forests and even in animals. Plastic waste is a global problem and is interfering with our food chain and ecosystem. Moreover, plastic is made from oil, and this resource isn’t infinitely available. It’s time that we take responsibility and we make smarter use of our resources. It’s time to change and start recycling.